Labour Party leader Ed Miliband has faced a deluge of Twitter outrage after a video of him and his wife at home, intended to show the would-be PM’s domestic side, was filmed in their second, smaller kitchen so they would appear down to earth. The small kitchen, later reported to be a “functional kitchenette,” was actually the smaller of two kitchens in the Milibands’ £2.3 million North London home. The scene of the Labour leader and his wife has seen him dubbed Ed “Two Kitchens” Miliband, following in the footsteps of John “Two Jags” Prescott, and mocked by Conservative MPs. The backlash against Miliband comes after his wife, Justine, took part in an interview with the BBC, where she defended her husband and spoke of concern about “vicious” personal attacks against him. Miliband: "It's ridiculous to say I'm out of touch because I have two kitchens. I simply haven't. The other one is a butler's pantry." 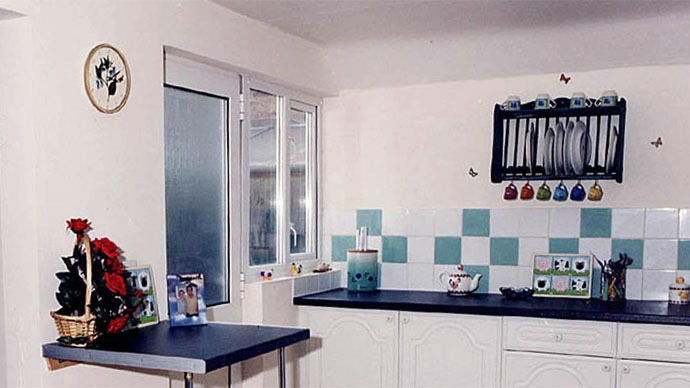 In response, Jenni Russell, a columnist and friend of the Milibands, tweeted that their main kitchen was “lovely,” and insisted that the room shown in the video was only their second kitchen. The Twitter spat sparked criticism of the Labour leader, with his Conservative opponents calling him hypocritical. “Red Ed can try as much as he likes to portray himself as a man of the people but the only people he’s in touch with are the North London metropolitan elite,” he added. “I think Justine would probably say she wishes I’d spend more time in the kitchen. The house we bought had a kitchen downstairs when we bought it. And it is not the one we use. We use the small one upstairs,” he told the Birmingham Mail.